← Announcing The 2nd Wonderful Ingrid Bergman Blogathon! May 4th, 2016 would have been Audrey Hepburn’s 87th birthday. 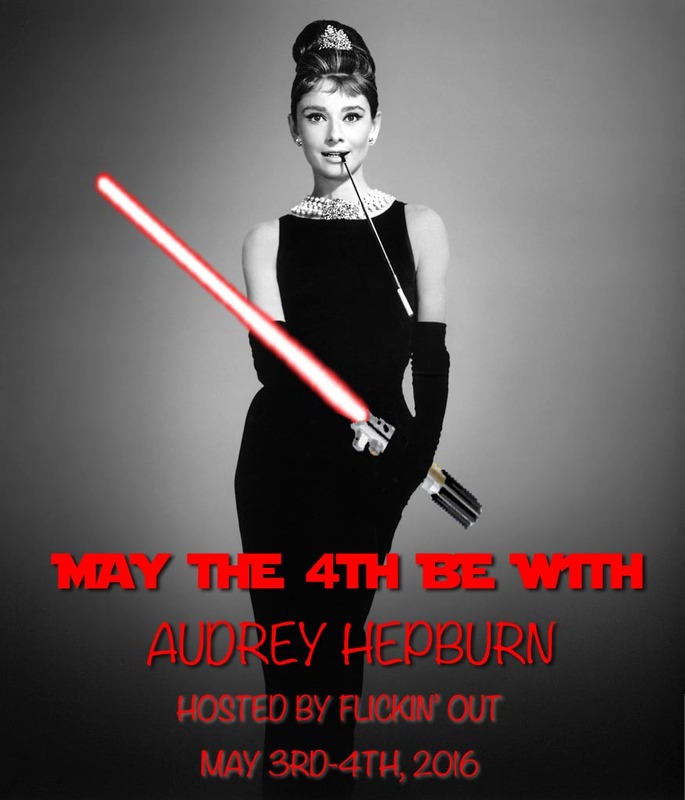 To celebrate her memory, Diana from Flickin’ Out is hosting the May the 4th Be With Audrey Hepburn Blogathon, starting today and finishing tomorrow on Audrey’s birthday. Of course, as she is my favourite actresses, I couldn’t say no to that! I will, for the occasion, revisit her film How to Steal a Million. I always thought this film was a real fun, so it’s with a great pleasure that I re-watched it for the blogathon. I also have to precise that this is the first blogathon Three Enchanting Ladies is participating to (I’ve participated to several other blogathons via my other blog The Wonderful World of Cinema), so I’m pretty excited! How to Steal a Million was the last of three collaborations between Audrey Hepburn and director William Wyler. He first made her a star when he cast her as Princess Ann in Roman Holiday (1953). She won the Best Actress Oscar for her performance in this film. She then starred in Wyler’s film The Children Hours (1961) alongside Shirley MacLaine and James Gardner. How to Steal a Million made this end beautifully. The film was released in 1966 and, except for Audrey, also starred Peter O’Toole, Hugh Griffith, Eli Wallach and Charles Boyer. As in many Audrey Hepburn’s films, the action takes place in Paris. Ah, Paris! The city of love and the city of arts: two essential ingredients in this film. The Audrey from How to Steal a Million plays the part of Nicole Bonnet, daughter of Charles Bonnet (Hugh Griffith), an important art collector. However, Charles isn’t really one. All the paintings in his collections are simple reproductions made by himself. Only him and Nicole know about it. Of course, Nicole doesn’t approve as this is illegal and might ruin her father’s reputation. Charles Bonnet also owns a Venus sculpted by Cellini. He agrees for this one to be exposed at the Kléber-Lafayette Museum. Nicole can’t be more desperate as the statue is a false one too, sculpted by her grandfather. One night, Nicole surprises Simon Dermott (Peter O’Toole) in her house. He seems to be trying to steal a painting so she wants to call the police. She finally abandons the idea and accidentally shot his arm with an old gun. Thinking that he can’t drive (but he’s only pretending) she drives him back to his hotel, the Ritz. Before going back to her home, he kisses her. Of course, that won’t be her only meeting with Simon. Not long after, she learns that the Cellini Venus will be submitted to a technical examination to make sure that it’s not a false one. This is the end. Nicole will ask for Simon to help her stealing the statuette. One of the most exciting burglaries will then take place in the chic museum. How to Steal a Million is somehow underrated. It’s not often cited as a favourite among Audrey’s fans and it certainly is not as iconic as Sabrina or Breakfast at Tiffany’s. On my side, it’s actually a very favourite of mine, more precisely, my third favourite Audrey Hepburn’s film after Roman Holiday and Love in the Afternoon. The film certainly is not a “masterpiece”, but it remains an entertaining one, presenting to us a dream cast, and directed by one of Hollywood’s most prolific movie directors: William Wyler. So, there’s always a possibility to enjoy it. Furthermore, I always thought that it was Audrey Hepburn’s most comic film. We’ll come back to that later. The Audrey Hepburn from How to Steal a Million is the one we know and like: lovely and endearing. However, the lady has gained a certain maturity. Not necessarily in age (because Audrey still looked divine at 37), but mostly in attitude. The Audrey from How to Steal a Million seems less innocent and more thoughtful than the Audrey from Roman Holiday. However, we know Audrey Hepburn’s movie character for being people that often make decisions by themselves without consulting the others. Yes, Audrey Hepburn often portrayed independent characters who know what they want. Of course, Peter O’Toole will help her steal the Cellini’s Venus, but the idea and the initiative are her own. He’s only following and helping. Yes, Audrey really leads the game in this film. She has a father, but between the two she turns out to be the most sane and really knows better how to handle certain difficult situations. We wonder how things will have turned out if she wouldn’t be here… Of course, her solution is not the most idealistic, but this is just a film after all! Of course, her partnership with Peter O’Toole is a pure delight. Among all Audrey Hepburn’s male co-stars, I’ve always thought that he was one of those with whom she had the best on-screen chemistry. Of course, the film is not only a heist comedy, but also a romantic comedy (don’t tell me you weren’t expecting it), so this marvellous team work certainly helps. Also, just like Grace Kelly, we often noticed that Audrey Hepburn male co-star were often much older than she was. How to Steal a Million makes an exception as Peter O’Toole was around 34 when he starred in this film. But why do we love their teamwork? First, they play two very distinguished characters, so they certainly make a great pair. They have great taste for refined things, art being one, and chic clothes. Of course, Audrey was dressed by Hubert de Givenchy. They certainly did physically looked great together ( how can we forget those two beautiful pairs of eyes)? One thing that always make me laugh are Peter O’Toole facial reaction to some stuff Audrey Hepburn will say or do, this “whaaat?” face you know. One of the best example is the restaurant scene, when Simon finally realizes that the mysterious lady who is trying to catch his attention is Nicole. Nicole Bonnet, at first, doesn’t really like Simon Dernott, but she learns to appreciate him and they become real pals. Audrey Hepburn and Peter O’Toole’s complicity shines from the moment they (she) decide to steal the Venus. One of the best examples to illustrate that is the burglary scene, which is certainly the best part of the film. Locked in a very small closet together, I hope Audrey and Peter really DID appreciated each other. Audrey also makes an appreciable duo with Eli Wallach. This one is funny too, but another kind of fun as the two characters are very different. Eli Wallach, as an American art collector, desperately wants to marry her, but she’s not really interested. However, she doesn’t hesitate to use her charm to please him. The result are some of the most hilarious scenes from the film. We can notice that the father character always had an important role to play in Audrey Hepburn’s films. As examples, we can think of Sabrina, Love in the Afternoon or My Fair Lady. How to Steal a Million doesn’t make exceptions with Hugh Griffith’s character. The mother often seems absent in Audrey Hepburn’s films. Surprisingly, this is an opposition from Audrey Hepburn’s real life where, this time, the father was the absent one. But if we get back to the film, this father’s presence and this mother’s absence can explain why Audrey’s characters are so independent and clever. She doesn’t have two heads to think for her. Of course, Nicole has a great complicity with her father. She loves him and will do everything to protect him. He is a little thoughtless and she is wiser (in a way) so they complete each other pretty well. 1- Nicole: Your arm is much better. Simon: Oh no no, it hurts, it hurts. Nicole: It’s the other arm. Simon: The infection is spreading. 2- Nicole: Well, it was pitch dark and there he was. Tall, blue eyes, slim, quite good-looking… in a brutal, mean way, Papa. A terrible man! 3- Simon [to Nicole in the museum] : Okay, you’re the boss. Just do as I tell you. 4- Simon: Why must it be this particular work of art? Audrey : You don’t think I’d steal something that didn’t belong to me, do you? Simon: Excuse me, I spoke without thinking. 5- Nicole: I didn’t want to keep you waiting, so I got engaged to him. Is it alright? Am I on time? Simon: Perfectly. In fact, we have ten more minutes, so if you want to go back and marry him? 6- Simon: There’s the bathroom, take off your clothes. Nicole: Are we planning the same sort of crime? 7- Charles Bonnet: I doubt very much if Van Gogh himself would have gone through so much trouble. Nicole: He didn’t have to. He was Van Gogh! 8- Simon: [bumping into Nicole at the museum] Good morning! We meet under the most artistic circumstances. 9- Nicole : [to Davis Leland] I’m sorry you fell in love with the Venus, but she’s not for sale! But believe me if she were mine she’d be on your doorstep in the morning! As you can see, those dialogues were an essential ingredient to Audrey and Peter O’Toole’s partnership in the film. The screenplay was signed by Harry Kurnitz and based on a story by George Bradshaw, Venus Rising (1962). Simon: Yes, that’s fine. That does it. Simon: Well, for one thing, it gives Givenchy a night off. How to Steal a Million is one of those films that is so enjoyable to watch. Of course it was a pleasure for me to write about it. If you haven’t seen it, I highly recommend you to do so, especially if your an Audrey Hepburn’s fan like me. Of course, I want to thank Diana from Flickin’ Out for hosting such a nice blogathon. I’m sure Audrey would have been proud! All great actresses, and Audrey Hepburn did so much wonderful humanitarian work too. Yes, this film is totally underrated! I’ve always joked that I’m more like Nicole than Holly. Those boots with her nightgown! She had such perfect comic timing too. This is just one film that proves how funny she was. God, she and O’Toole had some great chemistry in this. It would’ve been nice had they done another film together. I’ve heard marvels about this movie, but never watched it. Virginie, I just love Peter O’Toole and I was so moved by his death in 2013! I hope that I don’t start crying when I see him and Audrey in this movie together! Don’t worry I’ll read it! I love Peter O’Toole too. Hope you’ll see this soon, it’s a real treat! Great Article! I have this on dvd and it hasn’t been watched yet!!! Too many movies not enough time!!! Your piece makes me want to watch it even more now!!!! I love this film! It is sadly so underrated. Audrey is brilliant in this, I always wish that she and Peter had worked together again as they made a perfect screen pair. I agree! Their chemistry is so strong!